Marquez: With Strike, L.A. Teachers Union Came Out Strong Fighting for Its Members. But Who’s Fighting for Our Kids?
. @ImAlmaMarquez: If teachers walk out of the classroom to hold districts and states accountable for adequate funding, they also must hold themselves accountable for giving our children the high-quality education they’re promised. We didn’t thrive and blossom in the district — we were lucky to survive our experience. And the consequences continued for so many of my classmates who ended up unprepared for college-level work and faced futures filled with poverty, menial jobs, incarceration, struggles with addiction, and even death. Can we also demand that more than 3 out of 10 black or Latino students be prepared to pass their English or math tests? Or that English learners, who make up nearly a quarter of students in the district, see more than zero growth on their scores? 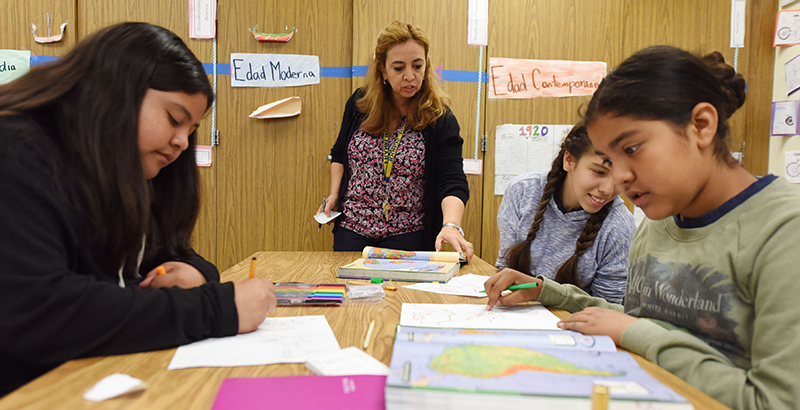 Can we demand that Latino and black students not be two to three times as likely to be taught by the least effective teachers as their white and Asian peers? Alma V. Marquez, founder of Del Sol Group, has over 25 years of experience in finding solutions to complex problems and a vast network of allies locally and nationally.Before founding Del Sol Group, she was vice president of external and government affairs for Green Dot Public Schools.